Denne model er 183 cm og bruger en størrelse M. Brystet måler 96 cm og taljen 71 cm. Fitter, stronger and faster never gets easier, but it can be more comfortable. 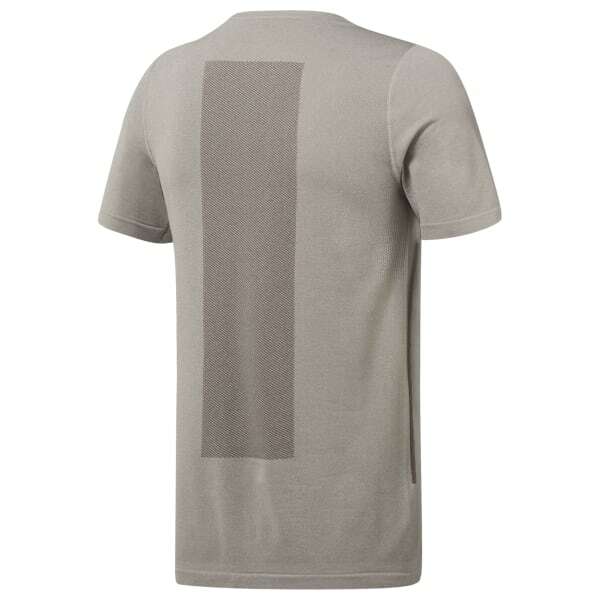 This men's training t-shirt is designed for optimal comfort and minimal distraction during maximum effort. Seamless construction means the tee has no points of chafing or irritation. Breathable panels under the arms vent heat and moisture as you push forward.